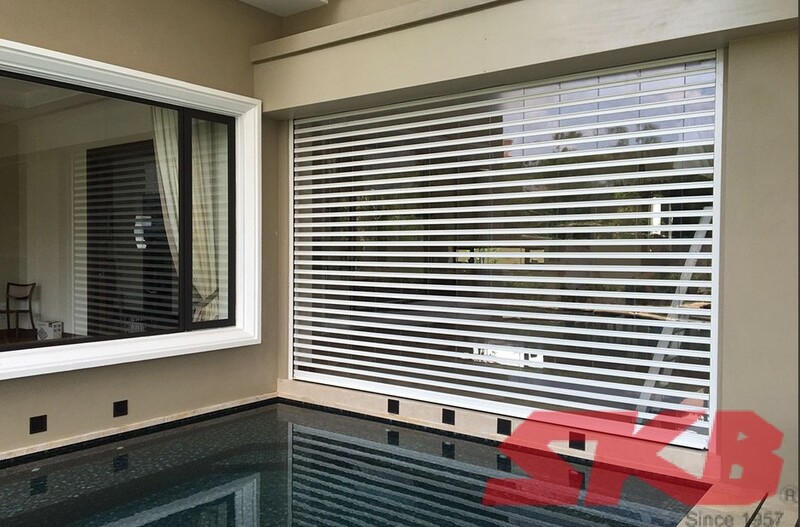 The transparent roller shutters are made of polycarbonate panels and aluminium hinges. This provides high level of security where PC is known and tested to be high impact resistant. It is uniquely designed for long-term durability, environmental friendly, energy-saving and highly indestructible thus ideal for anti-theft and trespassing. Transportation hubs such as airports and railway stations. 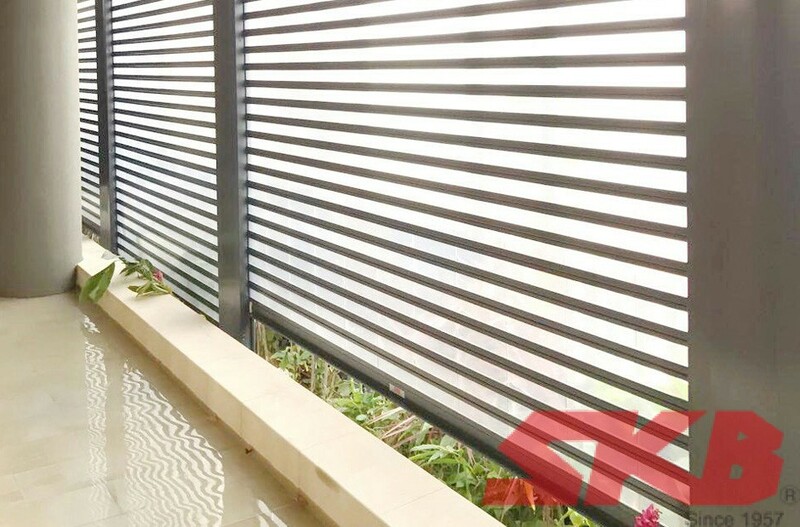 The VISION-7 ® transparent roller shutters are also popular among residential homes where it is mainly used to create a barrier from the outside at terrace/patios, swimming pool area, garage, main entrance, garden and staircase. 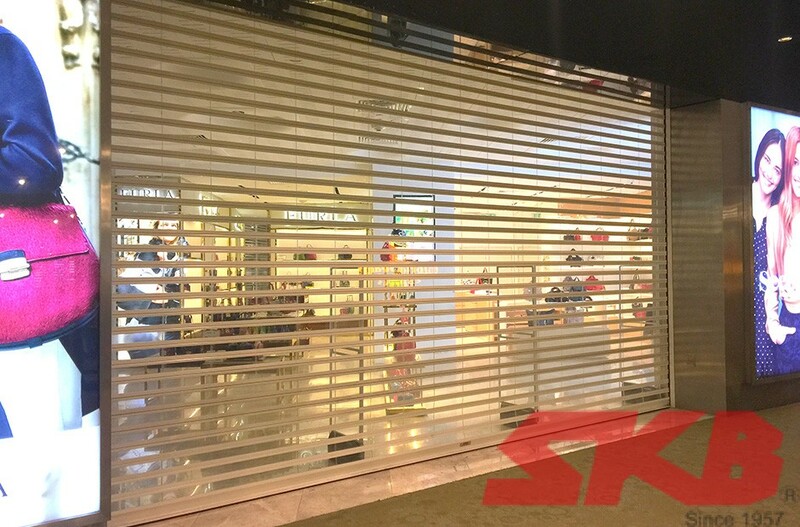 The key benefit of the transparent roller shutters provides a dual functional barrier where visibility from the security transparent panels enables window display to be securely separated from the outside after business hours and any unauthorised action can be seen through CCTV hence reduces lag time in reporting incidences. Excellent power coat finishing for all areas except transparent panels. 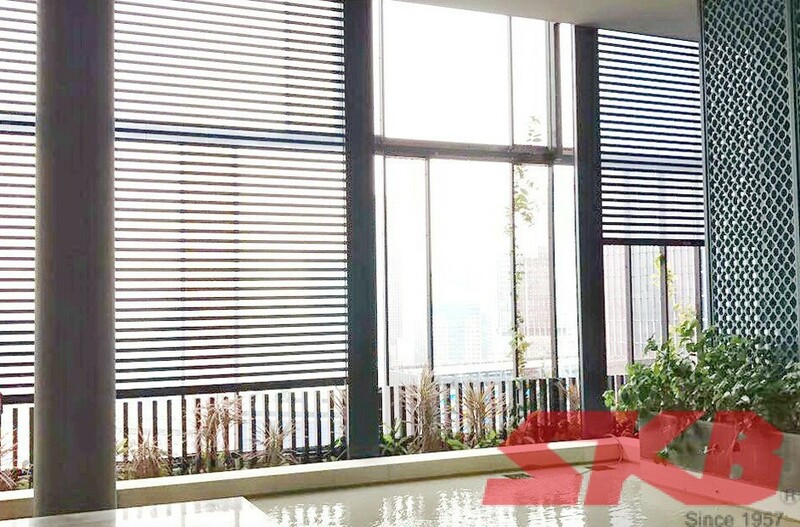 Shutter enclosure box are made of first grade steel plate with steel hollow sections framing design, zincalume steel and powder coated. ­The Safety Arrester Brakes can be used in all SKB roller shutters.